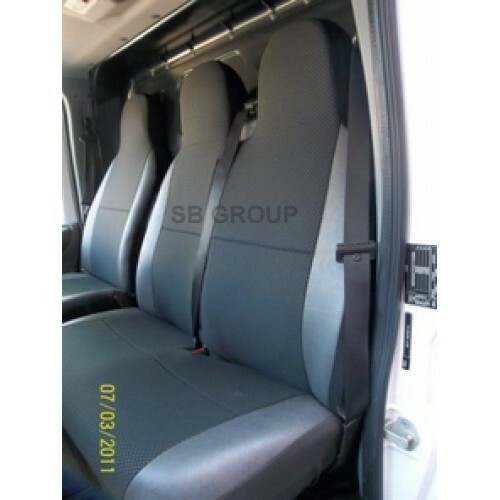 This new range of semi fitting commercial van seat covers seat cover comprises of 1 single drivers seat cover, and a matching double passenger seat cover. These VW TRANSPORTER T5 VAN seat covers are made with the best quality OEM cloth seating fabric. Multiple layers of fabric make up this seating cloth. -Centre fabric is polyester/ cotton mixture, which is dark anthracite colour. This is light tested, rub tested and confirms to all OEM seating standards. -This superior fabric is enhanced with 2 different patterns embedded in the fabric – this gives it a very elegant look. - Scrim/ Lining made of cotton, this stops the seat covers from sliding. - Foam lining which is a British Standard, which makes it ever so comfortable to sit on. 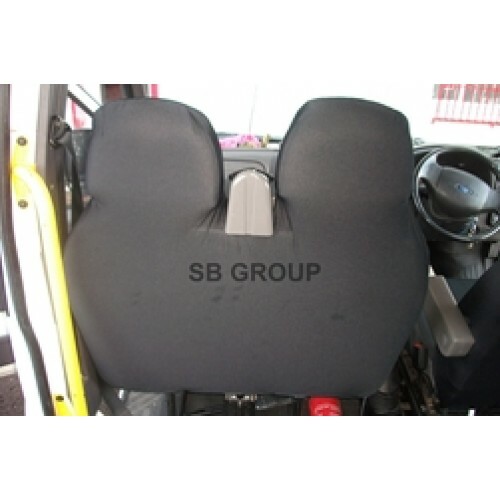 - Both the seat covers are backed with stretch polyester fabric which goes right down the back of the chairs which ensures complete protection for your seats. Driver Seat Cover: Tailored in this exclusive pattern, this seat cover is designed to ensure that apart from complete protection to your seat, there is a remarkable increase in the comfort level which brings about a refreshing change to your driving experience. 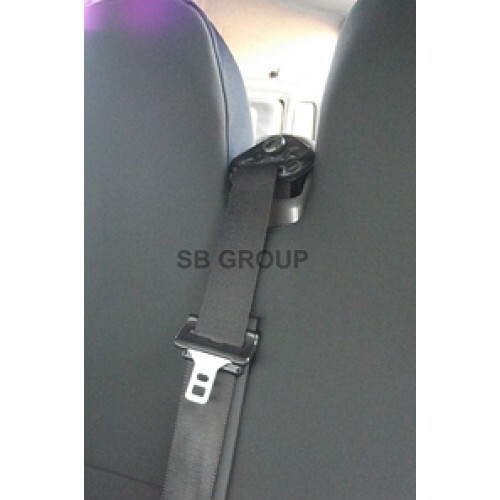 Double passenger seat cover: The double seat has a 2" Velcro fastening which will allows the centre seat belt to come through. Looks and quality is important but safety is paramount. -Kindly note that this double passenger seat cover is in one piece. If you need we can modify the double passenger seat cover into one top section and one bottom section- which will be slightly dearer. Please call us or write to us. With high grade specifications these VW TRANSPORTER T5 VAN seat covers enhance the looks, increase the life span of the original seats, remarkably improve the resale value of your van and enrich the comfort factor and thereby add to your driving experience. Once fitted, you will have the peace of mind that your seats will remain in a pristine condition. WE MAY/ HAVE USED A LIBRARY PHOTO TO ILLUSTRATE THIS PRODUCT....BUT WILL MOST CERTAINLY SEND THE CORRECT SIZE/ITEM TO YOU.